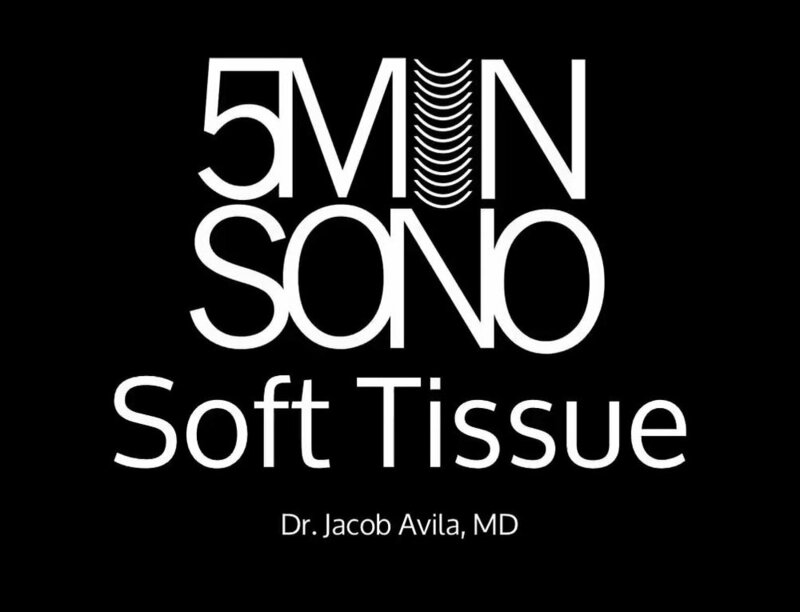 POCUS Evidence Atlas - soft tissue, abscess. 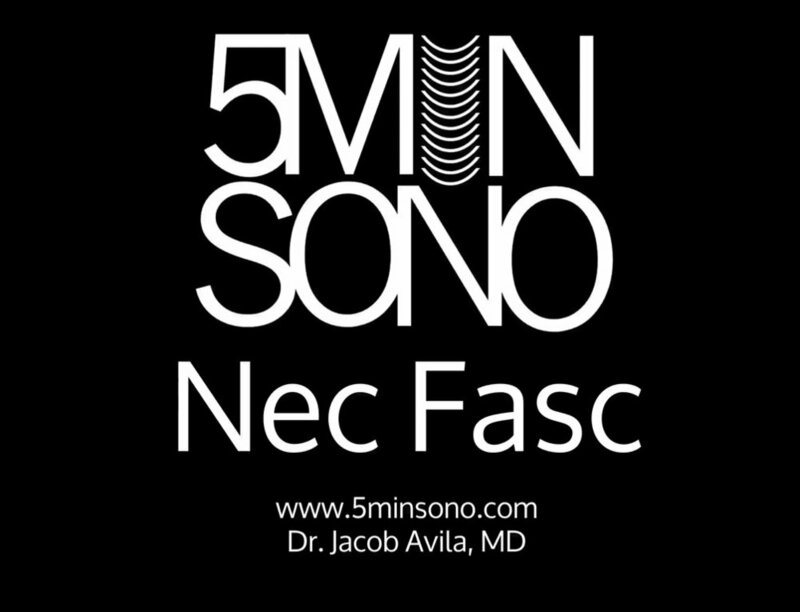 EBM review and resource of POCUS for abscess, incision and drainage, I and D diagnosis. Sensitivity Specificity positive and negative likelihood ratios. 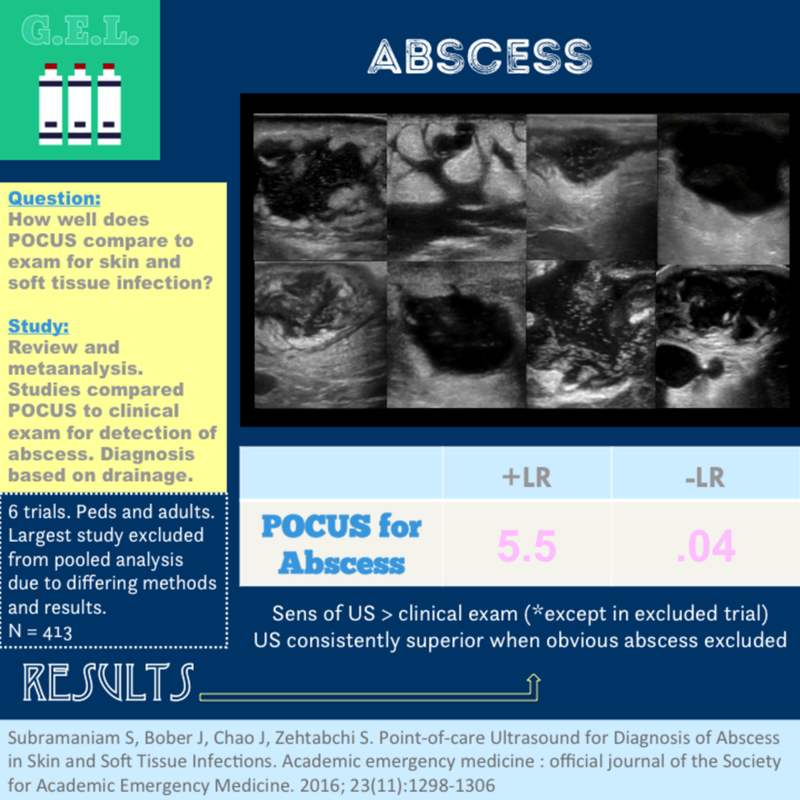 This was a systematic review including 6 prospective observational studies (n=800) comparing physical exam and POCUS to diagnose abscess in both children and adults in the emergency department (ED). Inclusion criteria for all but one study was the presence of a skin & soft tissue infection (SSTI) while once study specifically included patients where abscess was suspected with plan to incise and drain. The reference standard for abscess was pus drainage on initial I&D or at follow up. In many studies, facial and genital/rectal area SSTIs were excluded therefore these results should be interpreted with caution in evaluation of SSTIs in these areas. This was a prospective observational study (n= 73) evaluating the diagnostic accuracy of ultrasound for both identification of shoulder dislocation and confirmation of successful reduction. Patients with suspected shoulder dislocation were enrolled, with 69/73 having dislocation confirmed by shoulder radiographs. Patients with multi trauma or decreased level of consciousness were excluded. Both the anterior and lateral approach were used to evaluate for dislocation. Examinations were performed by either an experienced ultrasound trained emergency physician or a senior emergency medicine resident. An ultrasound exam was performed prior to initial shoulder radiographs and after reduction attempt. Ultrasound was found to be 100% accurate with respect to both shoulder dislocation identification and reduction confirmation. *This is a limited study as the sample size is relatively small and this ultrasound examination is dependent on operator experience therefore these results should be interpreted with caution.